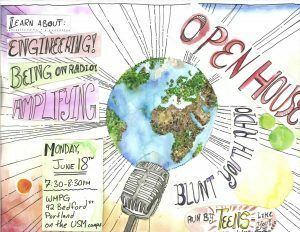 WMPG’s Blunt Youth Radio Project will hold an open house on Monday June 18th from 7:30-8:30pm. 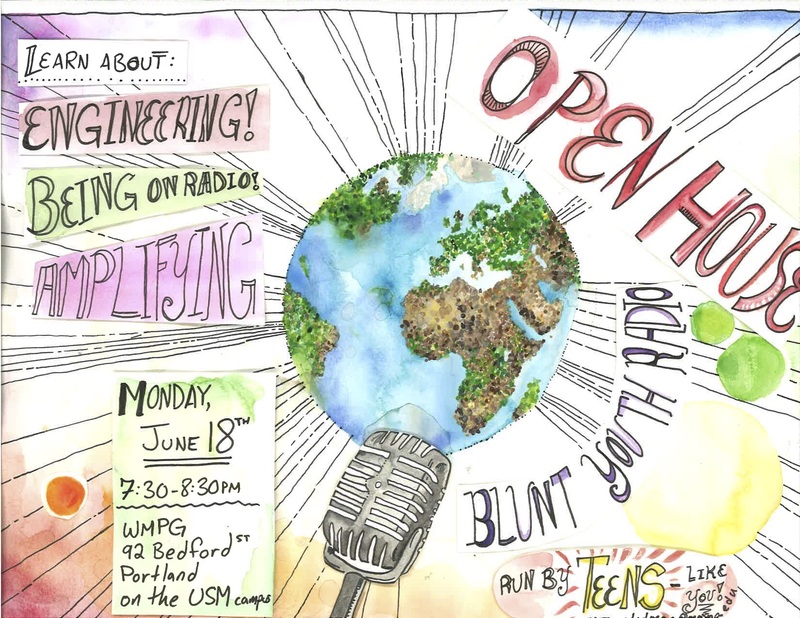 WMPG’s Blunt Youth Radio Project will hold an open house on Monday June 18th from 7:30-8:30pm. The Blunt Youth Radio Project is a nationally award-winning radio talk show produced by teens in Portland, Maine. On the air for 20 years, work by Blunt members has aired on Various NPR programs including All Things Considered, Morning Edition, This American Life, among others. Blunt Youth Radio Project produces a weekly call-in talk show that airs Monday nights from 7:30-8:30 on WMPG, Southern Maine Community Radio. High school age youth from the greater Portland area, both free and incarcerated, staff the show. Blunt Members are trained in all areas of radio production: interviewing, hosting, reporting, managing, editing, and engineering. The show has won several Gold and Silver Reel Awards from the National Federation of Community Broadcasters and a number of First Place Radio News Awards from the Maine Association of Broadcasters. More information is at http://www.bluntradio.org/.